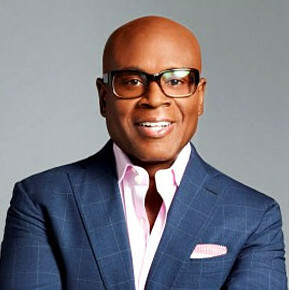 Music wonder executive L.A. Reid is out as the Chairman and CEO of Epic Records. Reid has been successful in his six years with the label including two number one albums so far this year, both by Future, but it wasn't enough to make it past the surgical knife of new Sony CEO Rob Stringer. Reps for Sony Music did not provide a reason for the move to Billboard. Reid originally started as a performer with Pure Essence and The Deele where he had Kenneth "Babyface" Edmunds as a bandmate. After the group broke up, he and Edwards started La Face Records with help from Arista's Clive Davis. Among their stable of performers were Toni Braxton, TLC and Outkast. Edmunds and Reid eventually sold their interest to Arista and Reid move on to be CEO of the company in 2000, eventually signing Avril Lavigne, P!nk and Ciara and guided Usher to multi-platinum status with his album Confessions. L.A. was let go from Arista in 2004 when Sony merged with BMG and was soon CEO of Island Def Jam Music Group. It was during his time with the label that he guided Mariah Carey back to success and signed artists like Kanye West, Rihanna and Justin Bieber. In 2011, Reid became the Chairman and CEO of Epic Records. Roger Friedman of Showbiz 411 wonders what will happen with two of Reid's previous success stories. "Now: what happens to vets Mariah Carey and Jennifer Lopez? Reid had them signed and loaded for more records even though neither one of them is burning up the charts anymore. His departure puts their deals, whatever they were, in peril."